Want to make your own LEGO Batman character? Want ot let them run around the batcave? Are you good or evil? 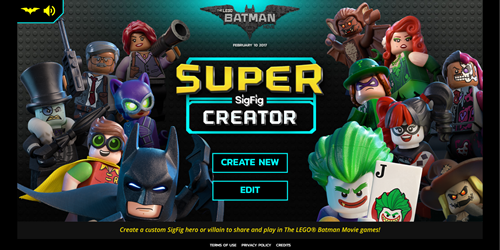 All these choices are yours using The Super SigFig Creator. All you need to do is click on the image below and you can start to have fun.